A while ago there was this great thread on the fitness cheat, it was used during a couple of years and spanned over multiple FMRTE versions. 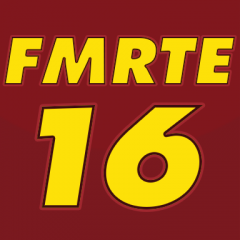 I thought we might try and get the ball rolling again for the FMRTE 18 Version. and keep all tips on fitnescheats and stuff like that in here. so, anyone been trying fitness cheats so far and would something? it can make the app/game unstable and crash so using these ''cheats'' are at your own risk. Making player's "Jadedness" 10000 is still working as well as other fitness cheats. I'll add some of my presets. What does this do, exactly? Yeah, can you please give a bit more info on the presets? They are all fitness cheat. "Jadedness" is a fitness cheat too but you don't need to edit your player's match fitness or sharpness. It shows your player as "needs a rest" but makes your player restless. 12749 will give %100 fitness to stamina 10+ players for entire match but results will not guarantee a win. 13000, 14000, 15000 are truly fitness cheats for outperform. Especially with 15000 you can easily win. If you are managing a LLM team or an underdog and you want to win some cup matches, big matches etc. values between 15000-25498 gives you much more guaranteed wins in these matches. Before you all carry on, does this cheat actually work in FMRTE 18? If not then you need to redirect your attention to the unofficial thread in the Legacy forum as clf has stated above. Yes it works in all FMRTE and FM versions. I think we can create a sub forum for gathering all presets, It would be helpful to find all in one place. OK. Good to hear. A sub forum is not needed as clf has stated that this cheat is community driven and community supported. We do not want it to be an official part of the software as it is something that we do not endorse or support. @matsk89 He only edited Jadedness. If you want to test the effect of match sharpness and match exercise you can try these presets. Get in "that" player's profile in FMRTE and click that "Copy Unique ID" button. And open below attached file with a text editor, and paste that Unique ID in that section where "XXXXXX" 's placed in below attached file. And change all "12749" to what ever you want to use. Just like any other preset load it in FMRTE. But now you have to use "that" section below in screenshot. I followed what you said and I am receiving an error message? Fixed it now it'll work. You can apply preset before every match - fitness will drop to normal values after the match. You can freeze player stats with modified match fitness and sharpness - it will not drop after the match and before next match you will not need to apply preset. You can set in freeze settings what stats you wish to freeze by freeze option and what stats to ignore; there you can tick an option "attributes may increase". is match sharpness working on this FM? Any updates in this area fellas? btw Happy new year for everyone! Does position cheat (29) still work in fm 18?